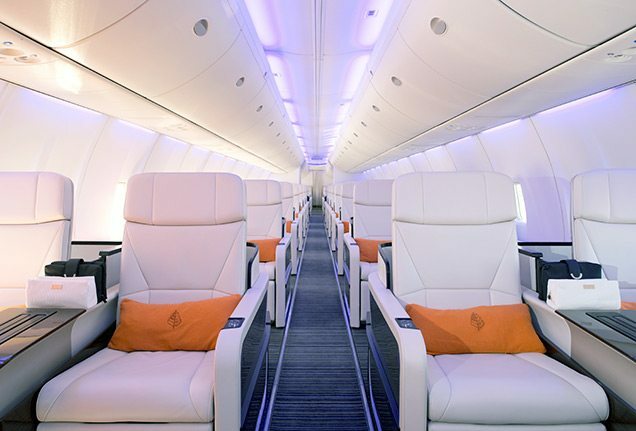 The Four Seasons Jet—a state-of-the-art Boeing 757 offering the comfort, service and exclusivity synonymous with its namesake brand—has been designed to ensure that passengers enjoy the journey as much as the destination. 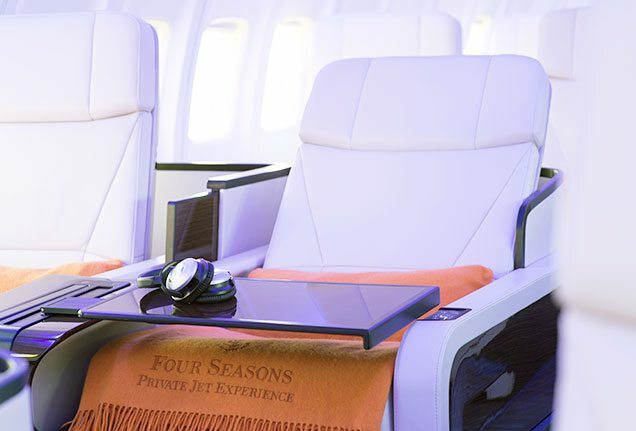 The Four Seasons Jet is a state-of-the-art Boeing 757 aircraft that has been reimagined for the luxury traveller, featuring completely customised interiors, innovative design and technology, and the brand’s renowned standard of service. 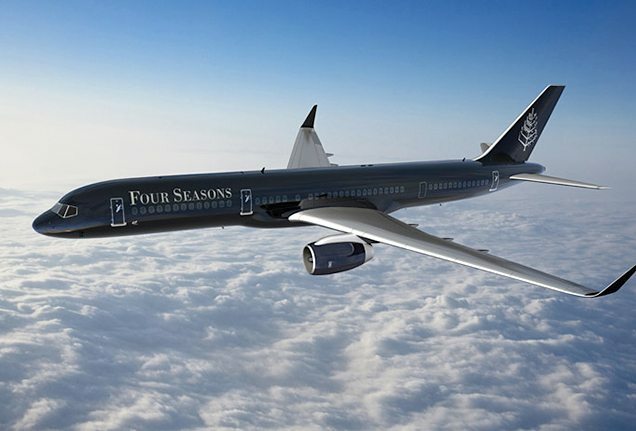 The luxury hospitality industry’s first fully branded jet experience, the Four Seasons Jet features the same spacious comfort, accessible technology and flawless design found at our hotels and resorts around the world. Every element of the plane’s interior is custom designed, from individually handcrafted leather flatbed seats to handmade carpet woven on traditional looms in Amsterdam to the built-in Venetian blinds covering each window. In the fully flat position, each seat measures 6.5 feet in length—about the same length as a king-size bed—for comfort that’s only enhanced by the Mongolian cashmere blankets, Bose noise-cancelling headphones and other luxurious amenities provided to travellers. 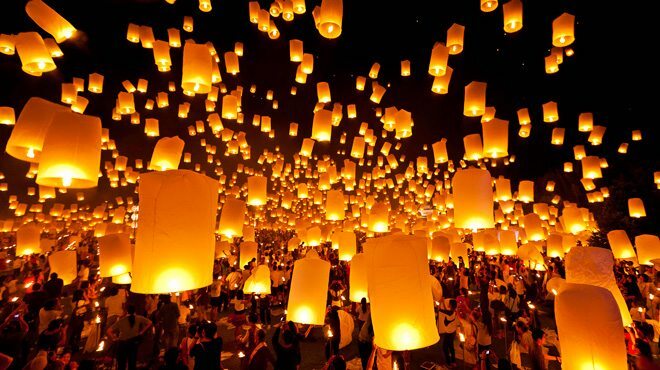 Global inflight Wi-Fi and on-demand entertainment keep you connected, while a bicolour lighting system creates the ideal atmosphere depending on the time of day or night. 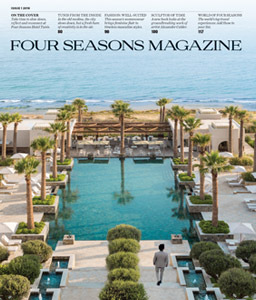 An innovative menu of signature Four Seasons cuisine—carefully planned by an international network of award-winning Four Seasons chefs and served on bone china—incorporates flavours from around the globe. Toast to your journey with your choice from a fine selection of spirits and wine, or a flute of bubbly from Dom Perignon, the jet’s exclusive Champagne provider. Travelling with an intimate group of no more than 52 passengers (versus the standard 233 on board a commercial flight) ensures that you enjoy a bespoke journey. Whether you choose to fly around the world or immerse yourself in a specific region, every Four Seasons Private Jet Experience also comes with a dedicated team of travel experts and professionals who provide exceptional service in the air and on the ground. And with one crew member to every six to seven passengers, you’re guaranteed distinctive, personalised Four Seasons service from beginning to end. Fifty-two hand-stitched seats, arranged in a special 2×2 forward-facing configuration, give guests plenty of personal space for resting or relaxing during flights. Upon boarding the jet, each traveller receives a welcome gift that includes Four Seasons slippers, a custom leather-and-fabric tote bag, and an amenity kit featuring Bulgari products. 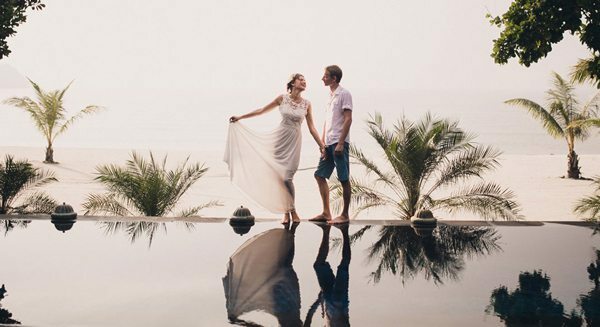 A Global Guest Services Manager is on call before, during and after the journey to accommodate any travel request—from booking spa appointments in the Maldives and arranging tee times in Hualalai to selecting souvenirs in Chiang Mai. 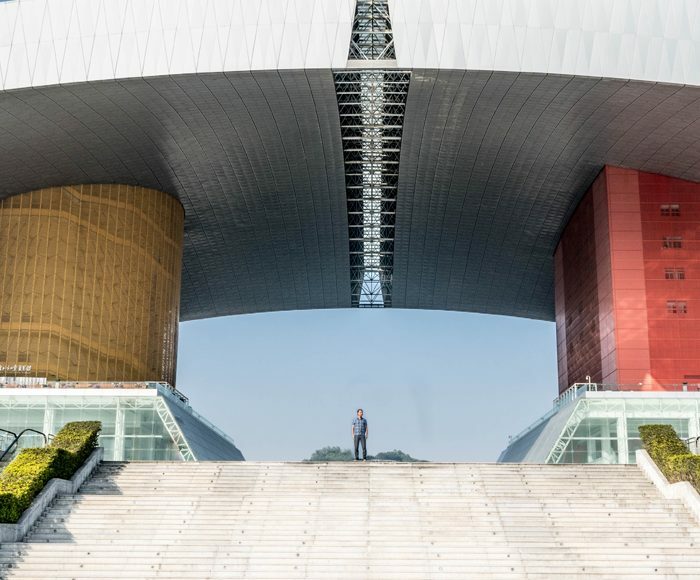 A Four Seasons Concierge travels aboard the Jet to help personalise your itinerary and plan individual excursions, while the concierge team at every hotel and resort from Bora Bora to Beijing provides the same round-the-clock service once you’ve arrived on solid ground. 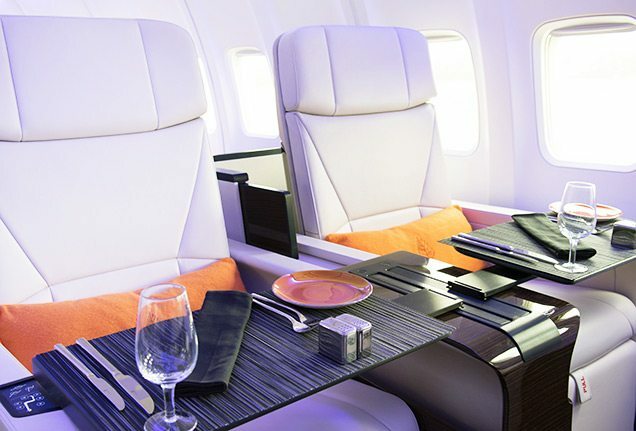 The Four Seasons Jet is equipped with a state-of-the-art steam oven and a custom refrigeration system, so all in-flight meals, prepared on board by a Four Seasons Executive Chef, are just as delicious as any cuisine you’ll enjoy on solid ground. 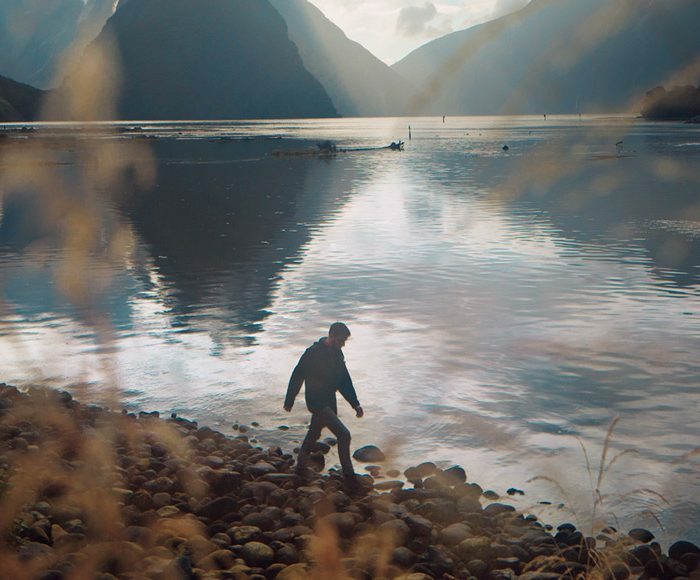 Building on a legacy of innovation, the Four Seasons Private Jet Experience establishes the next frontier in luxury travel—changing the way we experience the world and setting an exciting new stage for exploration. See more ways you can explore the globe in 25 Adventures in 25 Days, or make the most of your around-the-world trip by learning about the best souvenirs to take home. Jordan Thomas, Bar Manager at The Bristol at Four Seasons Hotel Boston, takes us on a three-day tour of the Beantown he knows and loves.